Many People Got Complain that they can’t cope up with their work and blogging. The Most important thing is to keep blogging and work separate never mix both otherwise it will affect both your work and your blog. Do blogging as a part time if you work at some office, do it in your free time many suggest to do it at weekends if you work . 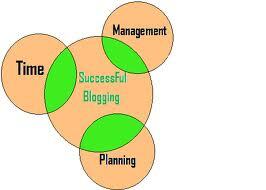 Don’t make blogging burden your life. Just do 2-3 post max on weekend’s that’s all nothing more.